The ideal starter set for enjoying this popular traditional game. 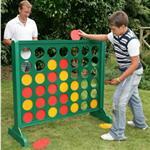 Perfect for the smaller garden & suitable for all ages from adult to children. The 4 hardwood mallets are 32.5" long with smaller sized heads. 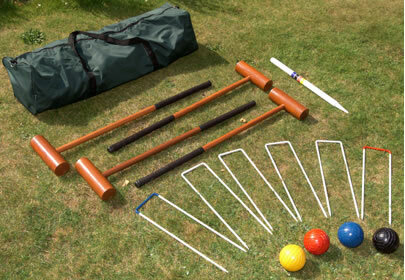 The set contains 4 lighter weight full-sized balls, lighter weight steel hoops, hard wood winning post & rules. Everything comes packed in a zip fastening nylon bag with handles for portability.